What’s your child’s name and age? Tell us a little about her. 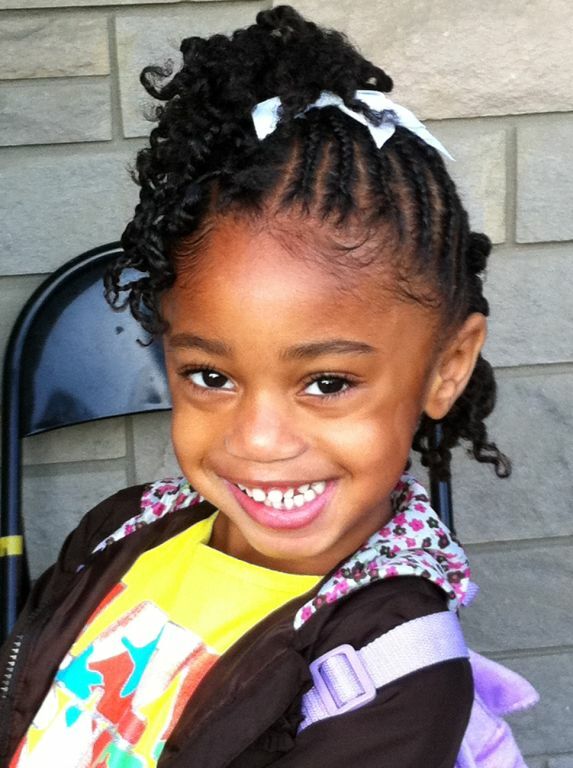 My daughter’s name is DaKayla and she is 3 years old (she will be 4 in March). She has 4A/4B hair. 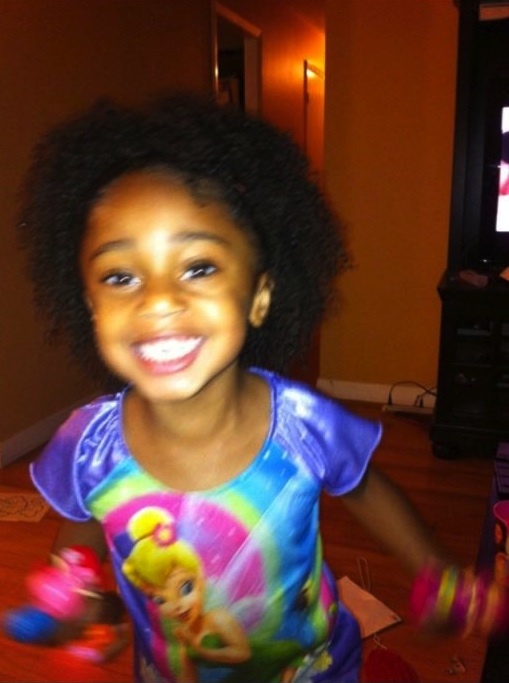 She is a very outgoing, energetic and happy child. She loves anything Princess themed and loves to watch the Sprout channel. How do you care for her hair? What products do you use, how often do you wash/condition, what techniques do you use (i.e., how do you detangle), etc.? I usually let her hair tell me when it needs to be washed. 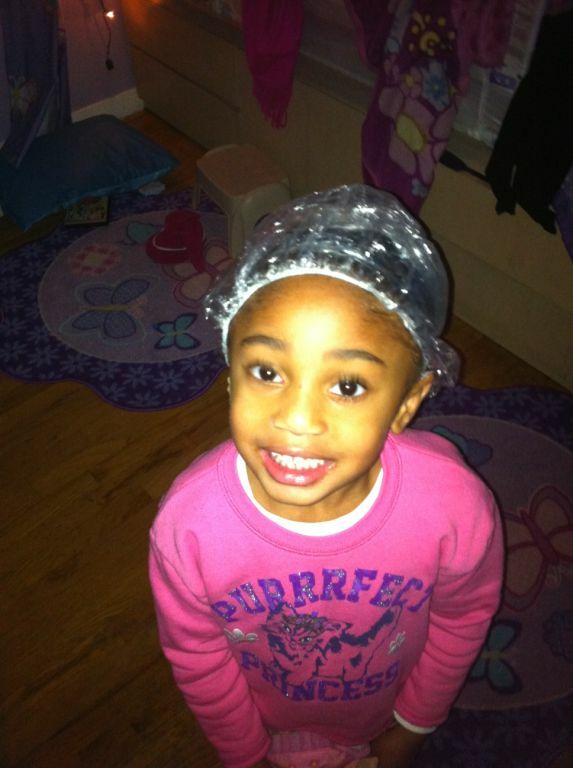 Although, we do usually wash her hair every week at the earliest and every two weeks at the latest. 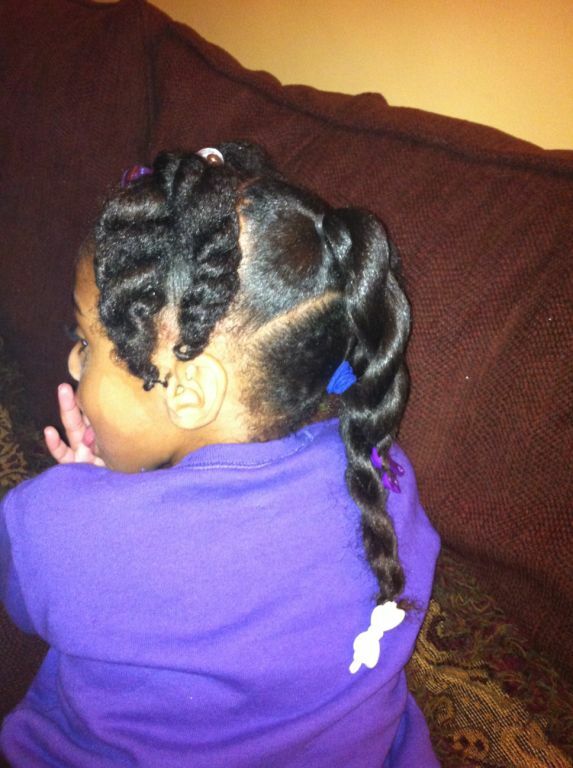 I wash her hair with KeraCare Hydrating Detangling Shampoo and KeraCare Humecto conditioner. I have been using these two on her hair since she was about 6 months old. 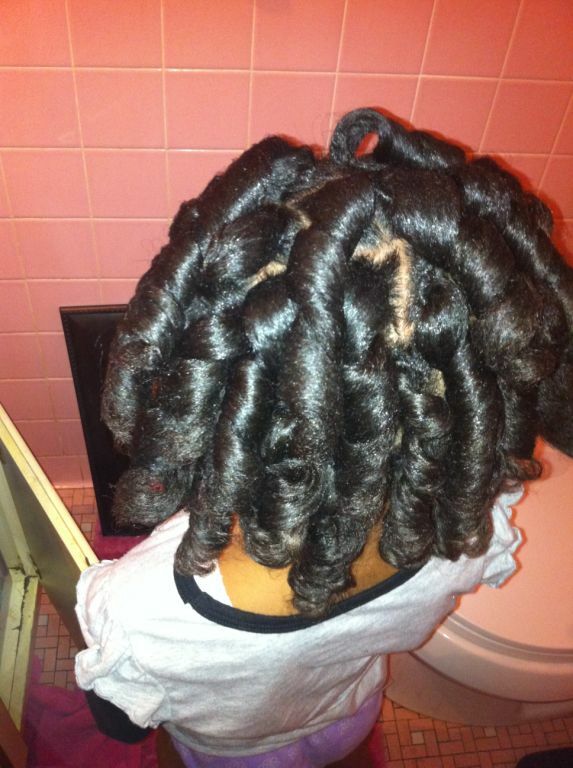 We deep condition with ORS Olive Oil Replenishing Conditioner. We use ORS Olive Oil Moisturizing Lotion. We prepoo overnight once a month. I use a Denman brush to detangle her hair while it is dripping wet. I also use Palmer’s Olive Oil Formula Olive Hairdress with Extra Virgin Olive Oil to grease her scalp. For the most part, yes. My hair is 3C and very curly. Her hair is coarse and requires a lot more moisture than mine. I can’t use mousse or KCCC on her hair because it does nothing for her. 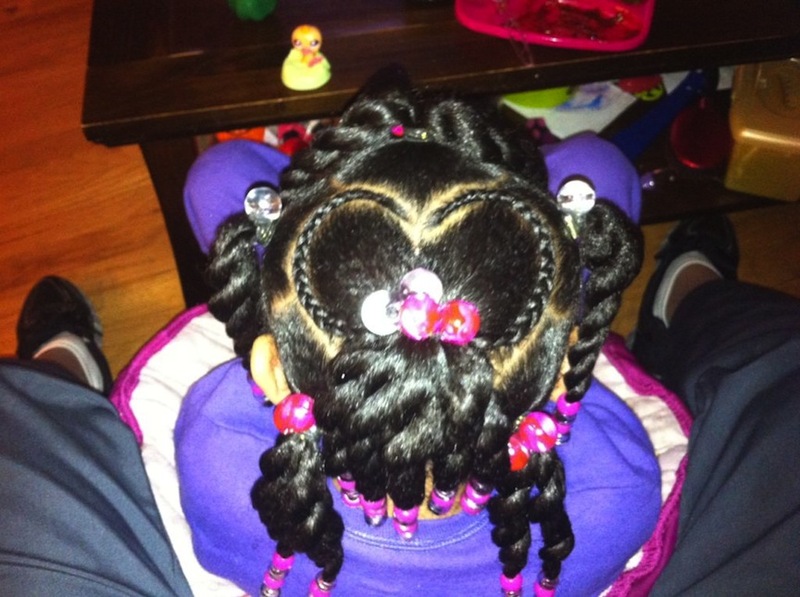 Typically DaKayla’s hair is in braids with beads on the end. It makes life so much easier in the morning for both of us. Occasionally she will ask to wear her hair in ponytails like her friends. I guess her braids would be considered her protective style as her hair has grown tremendously. As she gets older, she wants to wear her hair down and out because that’s how I usually wear mine. I am on the look out for some type of moisturizer/defrizz product that would allow her hair to be worn out with becoming tangled. She loves her hair. I went natural when she was about a year old, so she only remembers my hair as curly and not relaxed. She does ask sometimes why her hair isn’t straight like her best friend that has fine 3a/3b hair. I have to explain to her that everyone is different and therefore they have different hair. She acts like she understands, but I think the conversation will come up again. 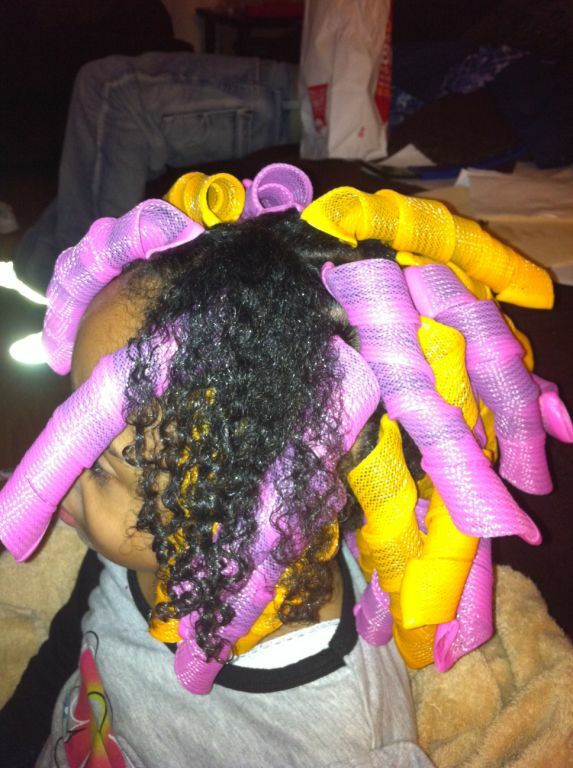 Have you ever relaxed/texlaxed your child’s hair? Why or why not and, if you relaxed her hair, what prompted the decision to return to natural? I do not plan on relaxing her hair. I love her texture and feel that, as she grows up and sees that she can do so much more with her hair, hopefully she will not want a relaxer. 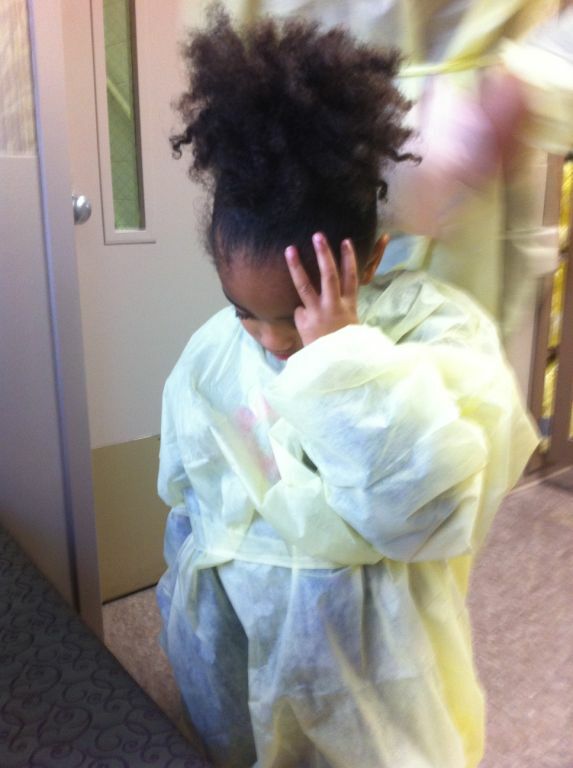 My daughter was my motivation to grow natural. She has also inspired my mother to go natural. 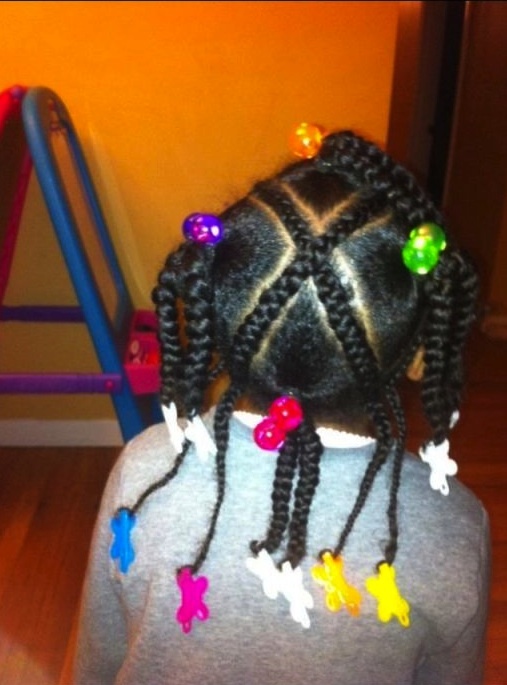 I am so grateful for websites like this and CurlyNikki, Tweeny Hair and Beads, Braids and Beyond. I have gotten so many different ideas for her hair. Who knows? I may submit my hair story too! 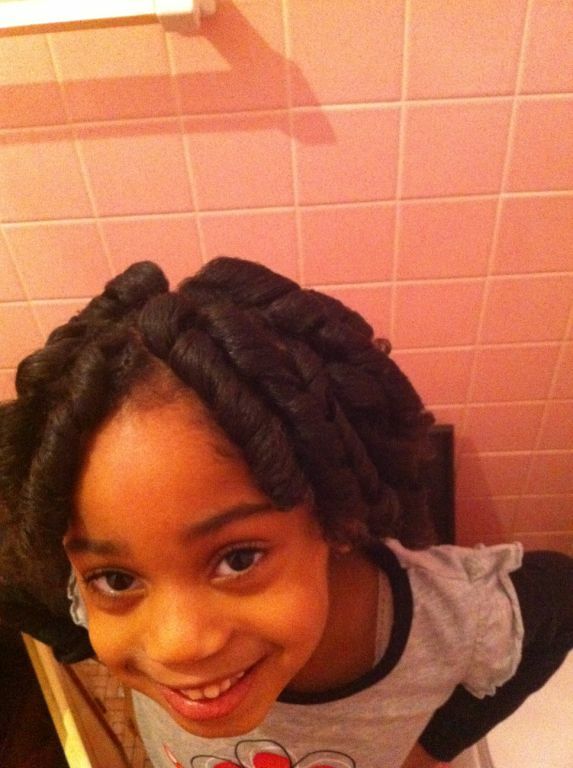 She is too cute and has really beautiful hair. I’m such a proud mommy! 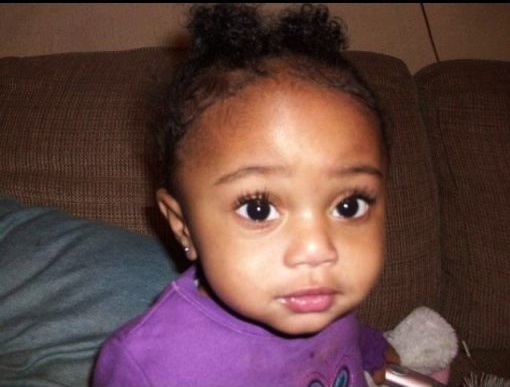 look at my baby! She is going to be so excited to see her story! 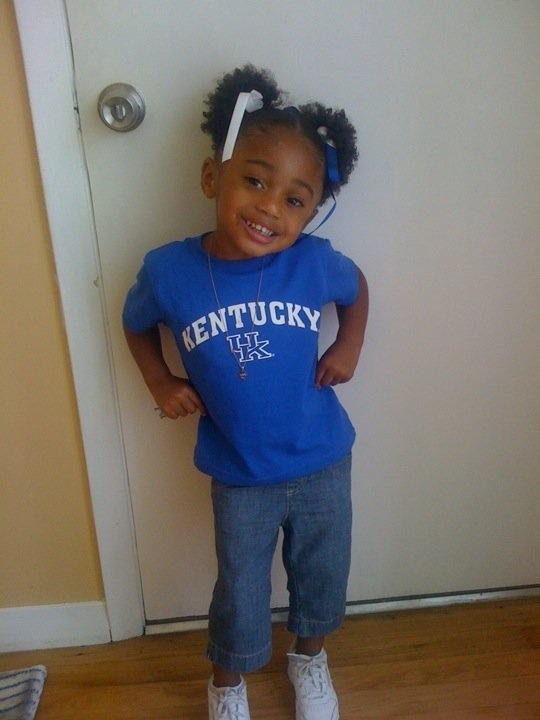 You know we bleed blue over at my house! Check the record ma’am! Good job mom! Her eyes are so expressive. What a cutie! Mom, you are super-talented with styling. Great job!